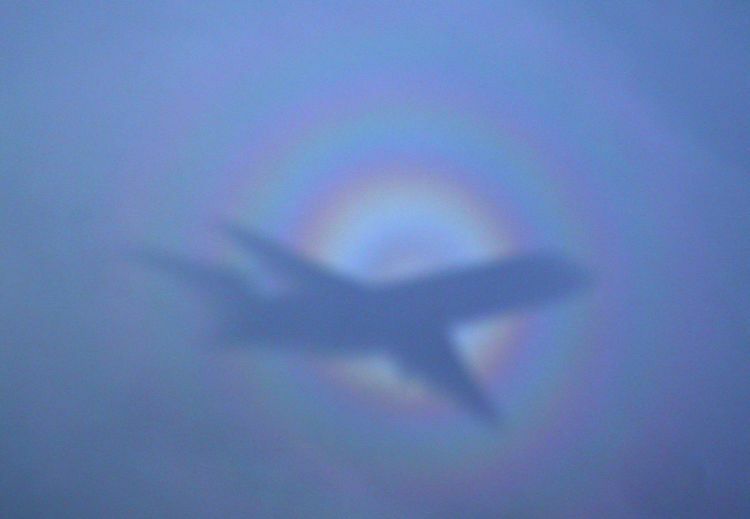 Explanation: On a flight from Vienna to Brussels, astronomer Franz Kerschbaum looked out the window and photographed this beautiful atmospheric phenomenon, the glory, shining in the direction directly opposite the Sun. Before airplanes, the glory, known to some as the heiligenschein or the Specter of the Brocken, was occasionally seen from mountaintops. 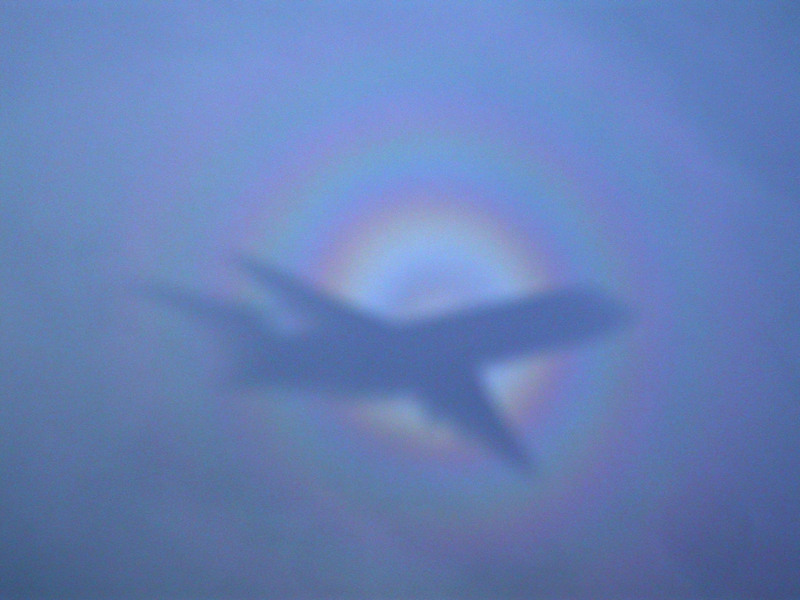 There, when conditions were right, one could look away from the Sun and see what appeared to be the shadow of a giant surrounded by a bright halo. Of course, the giant turns out to be the observer, and in the modern version a silhouette of a plane frequently occupies the glory's center. The cause of the glory is relatively complex. Briefly, small droplets of water reflect, refract, and diffract sunlight backwards towards the Sun. The phenomenon has a counterpart in astronomy, where looking out from planet Earth in the direction opposite the Sun yields a bright spot called the gegenschein.